Thursday is here once again and the Nintendo eShops have been freshly updated with all manner of new goodies. From new indie darlings to slices of retro greatness from yesteryear, the 3DS and Switch eShops have just got even more tempting. As always, be sure to place a vote in the poll below, and leave a comment with your favourite picks from this week's early April haul. Enjoy! 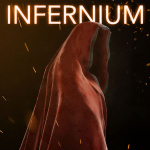 Infernium (Undergames, $24.95) - Infernium is a game filled with brutal challenges to overcome. While playing the game you won’t be able to kill or damage most of the enemies but at the same time running away without a second though is not the solution. 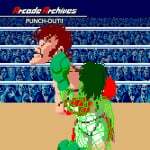 Arcade Archives PUNCH-OUT!! (HAMSTER, $7.99) - "PUNCH-OUT!!" is a sports-action game released by Nintendo in 1984. Watch your opponents' expressions and moves as you use a variety of punches and defensive moves on your path to become the boxing champion. The game became extremely popular with the double monitor setup, introducing intense boxing with dynamic graphics. 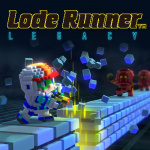 Lode Runner Legacy (Tozai Games, $11.99) - Collect all gold in the level and escape! But watch out for the multitudes of enemies and traps in the labyrinthine levels! The Runner can blast floors, so strategically use this technique to capture the gold imbedded in blocks, or entrap your enemies in the blocks! Use your wisdom and strategic techniques to complete all the levels! Splat the Fruit (West Coast Software, $9.99) – Splat the Fruit is the thinking persons version of "Angry Birds". If you love a challenge and want the freedom of playing a game your own way you will love "Splat the Fruit".Available 6th April. 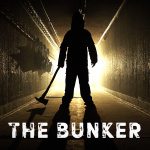 The Bunker (Wales Interactive, $12.99) – The Bunker is a live-action psychological horror game starring Adam Brown (The Hobbit) and Sarah Greene (Penny Dreadful) with writing talent behind The Witcher, Broken Sword and SOMA. Available 9th April. 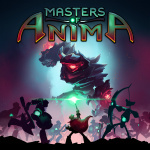 Masters of Anima (Focus Home Interactive, $17.99) – Masters of Anima is an original adventure game that takes you deep into the magical world of Spark. Battle against the forces of evil in strategic, action-packed battles, where making tactical decisions quickly is vital. Summon and control large armies of up to 100 Guardians, thanks to intuitive and innovative gameplay. Available 10th April. 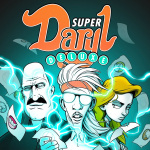 Super Daryl Deluxe (Dan & Gary Games, $19.99) – Super Daryl Deluxe is an RPGvania with brawler-style combat set inside of a perfectly normal, sprawling, multi-dimensional high school. Like any other perfectly normal school, its students and faculty are going missing and the classrooms have been locked down for weeks. Yes, there's nothing remarkable happening at WFHS whatsoever - just ask the new principal. Available 10th April. 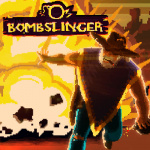 Bombslinger (Plug In Digital, $11.99) – Wear the poncho of the Bombslinger, a ruthless bandit turned peaceful rancher on a quest to avenge the murder of his missus and destruction of his ranch at the hands of his former posse. Available 11th April. Deep Ones (Sometimes You, $4.99) – Deep Ones» is a retro arcade-platformer with multigenre parts, inspired by ZX Spectrum, Bioshock and works of H. P. Lovecraft. Available 11th April. 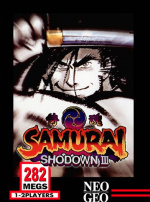 ACA NEOGEO SAMURAI SHODOWN III (HAMSTER, $7.99) - "SAMURAI SHODOWN III" is a fighting game released by SNK in 1995. It is a sequel to SAMURAI SHODOWN II. You can now fill your Rage Gauge, as well as block attacks mid-air. Player characters now have 2 styles to choose from: SLASH and BUST. The ways of battle have greatly expanded. 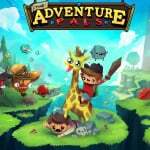 The Adventure Pals (Armor Games, $14.99) – The Adventure Pals sets you and your best friends (a giraffe and a rock) out to save the world and your dad from turning into hotdogs. Explore the mystical forests of Treevale, hike the haunted craters of the moon and dive into the depths to find the lost city of Crablantis. Animated Jigsaws: Beautiful Japanese Scenery (Rainy Frog, $9.99) - Put together pieces of an animated jigsaw puzzle of Japan's most beautiful scenery and watch it gradually come to life before your eyes! 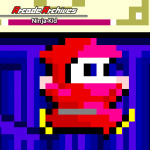 Arcade Archives Ninja-Kid (HAMSTER, $7.99) - "Ninja-Kid" is an action game that was released from the UPL in 1984. Players control Ninja-kun who puts a red hood on, and layers move the scaffold consisting of several stairs up, down, left or right, and players defeat the enemy with the shuriken. Johnny Turbo's Arcade: Bad Dudes (FTE Games, $7.99) - "Rampant ninja related crimes these days... Whitehouse is not the exception...". As soon as that occurs, a Secret Service agent asks two street-smart brawlers, the "Bad Dudes" named Blade and Striker: "President Ronnie has been kidnapped by the ninjas. Are you a bad enough dude to rescue Ronnie?" After hearing that, the Bad Dudes pursue the ninjas through the New York City streets, a moving big rig truck, a large storm sewer, a forest, a freight train on an old Southern Pacific line, a cave and into an underground factory in order to save President Ronnie. Read our review. Octocopter: Double or Squids (TACS Games, $2.99) - Oh no! Part way through their epic battle the Octopus and Submarine have lost their way and sunk to the bottom of the ocean. Can you help them to work together to escape these deadly depths? To complete each level you must navigate the maze without crashing. You won't stop spinning so timing is everything! 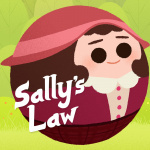 Sally's Law (POLARIS-X, $12.99) - The game explores the relationship between Sally and her critically ill father. As the game unfolds, the relationship between daughter a father is revealed. Along the way, Sally experiences great luck and good fortune with the help of a secret helper: her father. Having played the game as Sally, the player can then experience the story through the eyes of her father. Through following their journey, you will find dad and daughter’s family tie. 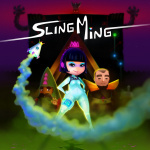 Sling Ming (Good Night Brave Warrior, $11.99) - Grab your helmet, princess, you're in for the ride of your life! Hook up to the Oxylane, a transit system that lets you fly through the air, swing around corners and defy gravity. Embark on an intergalactic adventure, trace the steps of your missing father and recover the keys to the mysterious vault beneath your castle. Sumer (Studio Wumpus, $14.99) - Sumer blends the intrigue of turn-based strategy with the excitement of real-time action. Board game night is coming to the Nintendo Switch! Play as Sumerian nobles vying for the affection of the great goddess Inanna. Harvest barley, herd goats, and perform ritual offerings to earn her favor and the right to rule by her side! 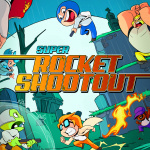 Super Rocket Shootout (Plug In Digital, $9.99) - Super Rocket Shootout is a frantic 2D pixelart brawler game, mixing platformer and fighting mechanics. Charming characters, destructible environments, cool weapons and awesome jetpack make this a blast to play alone or with up-to 4 friends. Read our review. 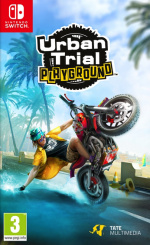 Urban Trial Playground (Tate Multimedia, $19.99) - This new installment of the stunt bike racing series is moving the action from city streets, straight to the sunny and colorful beaches of California, mixing in even crazier tricks, flips and combos than ever before. It’s a game of speed, balance and style! Read our review. Alter World (Lemondo Games, $1.99) - Inspired by Stephen King's book - "The Dark Tower," Alter World is a 2D platformer with interesting gameplay mechanics. 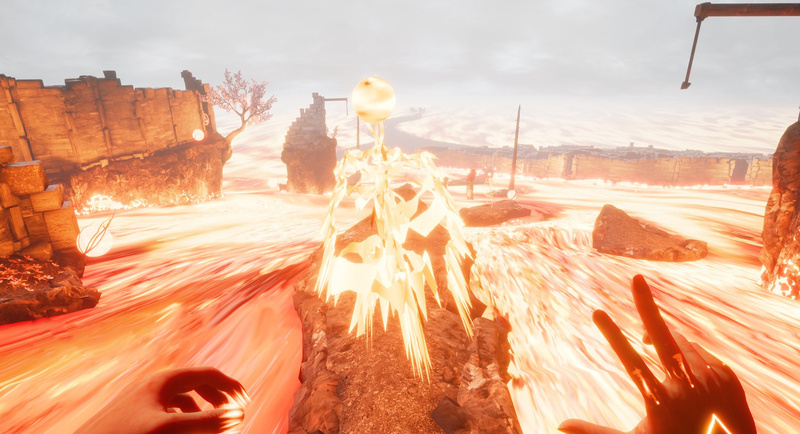 Player can pass on an alternative universe anytime and use an alternative realm to move to another level. New Nintendo 3DS only. Detective Pikachu – Special Demo Version – Crack the case in the new Detective Pikachu game by interacting with a unique, tough-talking Pikachu! As Tim Goodman, you’ll partner with a self-proclaimed “great detective” Pikachu to solve strange occurrences all over Ryme City. Together you must investigate, take notes and meet up with other Pokémon to unravel the city’s greatest mysteries! Game in 2D. This demo covers a portion of the first chapter of the game. Save data is transferable to the full version of the game once purchased. Sling Ming and Urban Trial Playground look good to me. They will both at least get a spot on my wishlist. Also I've had Lode Runner Legacy since last week lol. Hey, there ACA Punch-Out!! is! Downloaded it from the Japanese eShop last week, well worth the price. BAD DUDES!! I hope soon we get Two Crude Dudes! Yep where is Dragons Blaze, doesn't look like it's coming this week unfortunately. I'll be picking up Bad Dudes and possibly Bombslinger. Masters of Anima looks very good, like a fantasy Pikmin. Waiting for a review of that. There are a few things that I want but I think I'm just going to stock pile eshop cards atm. Working on a few games right now anyway. Sumer is the one I have an eye on, if it's coming to Europe as well. Looks like only Far Cry 5 for me. @OorWullie Super bummed about the Dragon Blaze delay, i know it hit the eShop in Japan today so hopefully we get it soon, I was REALLY stoked to snag it today! Aside from that, I'm almost shocked to say it's nothing for me lol! In all fairness, I DID buy Kirby on Sunday and I snagged Sol Divide earlier this week too lol. @Biff_ARMStrong If we do get "Crude Buster" / "Two Crude Dudes" they can have my money for the voice samples alone! "Pump it up, stay cool!" Bad Dudes, crossing my fingers hoping nothing goes wrong this time, and Samurai Shodown III (even though it's not the popular one, I still like it). Hopefully we'll get Dragon Blaze soon. Well, even if there was something interesting out today...I can't get anything. Gotta take Sanya in for some shots, it's gonna drain all my money away for the month, lol. Here's hoping for some good sales. Will be getting the demo. I already bought a game last week. Another random Indie dump. My Ninokuni2 + Alliance Alive combo is still a better choice than anything on this list. I'm actually kind of stoked for SamSho 3. Classic, lot of good memories with that one. I'm good until Gal Gun or Hollow Knight drop. Just the Pikachu demo for me this week. Samurai Shodown III is a sequel to Samurai Shodown II? Never would've made the connection. Another week, another promise of Bad Dudes. Third time lucky? @big_bad_bob Just snagged Dragon Blaze on the US eShop, looks like it surprise dropped on schedule today lol! @OorWullie See above! Just finished playing a few minutes of it, and once again....one of the best shmups I've ever played. Just like Tengai, an instant favorite, and it is GORGEOUS. Disappointment avoided! Had anyone given a look to “Infernium?” It appears rather interesting! hopefully they patch in the charge attack in BAD DUDES, pretty sure its not in currently but need to confirm..
@bluedogrulez Can you play Punchout in handheld mode? Alter World?? Inspired by Stephen King's The Dark Tower books what???? Dragon's Blaze released today, but it only showed up in the eShop and still isn't listed on NoA's website. I bought it. A couple games listed in this week's update, Punch Out and Lode Runner Legacy, actually released last week. 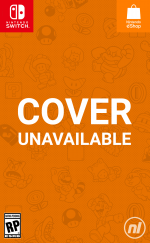 Punch Out came out last Friday and Lode Runner Legacy came out last Thursday, but didn't appear on Nintendo's website until the eShop updates were available to purchase. edit: Dragon Blaze showed up in Nintendo's website, I just mistyped it. Oh wow, I knew Detective Pikachu was the perfect game for a demo. Can't wait to download it! still waiting on a sale for Celeste & Golf Story...not convinced enough for a full price buy! I grabbed Punchout last weekend. Spent an hour trying to beat Sandman. I'll get him one day, lol. Going to pickup the Black Hole demo because I like shooters and its for the loe price of free. @Alikan Black Hole is really great, it hasn't reviewed super well but I've spent alot of time with it and it's really addictive. And at the price of $0 you can't really lose lol. The game itself is on sale right now too, and I'd definitely snag it if you dig the demo. @K1LLERBEAN Those are two absolutely amazing games man, if you have even a passing interest in either one i'd recommend picking them up. In fact, they really are 2 of the best on the system right now, and I'd put Celeste in my personal top 10 of all time. Seriously, they're SUPER legit games. @Fake-E-Lee lol allright allright! They've been on my radar since they came out, but I'm concerned that I'll lose interest after the first few hours. But you're the second person to tell me something like this, so I guess I might be wrong! Thanks for your comment man! @K1LLERBEAN No worries man, and trust me...i have SEVERE gaming ADD lol. I have 171 games on my Switch and so far I've finished/beaten like 5 of them lol. One of the games I finished is Celeste, it is unbelievable good, hard as %$&@....but absolutely amazing. Feel free to wait for a sale, I'm just sayin' they're totally worth the price as is. I'll be giving the Detective Pikachu demo a spin. The review here has sold me for the most part, but a trial run before picking up the full version won't hurt. I stopped checking the eshop ages ago, after Nintendo stopped the VC. @n64snesu, are you serious? The wiiu didn't have that many Indies and retro coming out last year like this. @rharalson Wow, I knew nothing at all about Infernium. Just watched a "Redonkulous" review on YouTube and now I really want to buy it! It's unbelievable that over a quarter of people who took the poll didn't find anything they wanted to buy.It's the same week after week. @K1LLERBEAN Golf Story was just on sale (I believe 33% off). I'm sure it will make it's rounds again soon. Dragon Blaze and Bad Dudes. FYI: I just noticed tonight that a new Switch Channel popped up for The Pinball Arcade, announcing that TPA will be launching on the eShop tomorrow (April 6th)!! I can only speak for the North American eShop, no clue if this will launch in Europe too. The news item says it will be free to download, with "Tales of the Arabian Nights" table for free. It will launch with 94 tables for purchase, which I think might mean that covers all 7 seasons that has been released on other consoles/devices. The news items also mentions it will launch with 60fps docked and handheld (docked 1080p), and will have TATE/Vertical/Portrait support both docked and handheld. Will also have leaderboards. Since the game is basically Stern Pinball Arcade, but with a different interface and covers more table manufacturers, it should hopefully run as well as SPA does now after the patch. If you don't follow TPA on other consoles/devices, the seasons of tables are usually priced $30, or $40 to upgrade to Pro tables. No mention if they'll have Pro tables when it launches tomorrow. I own a bunch of seasons of tables on Steam, but I'm very excited to see how this Switch version turns out. I'll definitely give Arabian Nights a good playthrough before I drop any money, in case this is a complete wreck (I am praying they did lots of testing before releasing this)! @sketchturner Hey, thanks! I am not familiar with “Redonk” as a YouTube personality, but I Googled and watched that same review after reading your comment and I think he did a good job of showing “Infernium’s” core gameplay and talking about what works well. With today’s news that “Battle Chasers,” my next anticipated time-sink, is still a month-and-some away, I might just give this one a go! What is this Masters of Anima? Gonna check that out. Besides that, Infernium, Adventure Pals, and Urban Trials. Also found Skylanders on clearance for $25. Snagging that and some crystals. I’ll reseach Dragon’s Blaze. Might hold off on new games for a while as I finally bought Doom. Man, what a fantastic game! Looks wonderful and plays like butter. Fairly unnerving though, not for the faint of heart that’s for sure. Bad Dudes and Punch Out!! Quantity does not subvert quality. I think choosing games with big names is fine but don't pass judgement on titles you don't recognize.